What does the future hold for the fight against corruption? Recently, three books have been written seeking to answer this question, helping to plot the course of the anti-corruption movement for the years to come. One of the co-founders of Transparency International, Laurence Cockcroft explores the various ways corruption impacts both the developing world and international business, focusing particularly on the links between small-scale corruption at grassroots level and grand corruption at an elite level. He warns that corruption undermines the potential for improved standards of living, negates human rights, distorts economic performance and can challenge the credibility of the entire political system. He sees the main drivers as opaque political party funding, scams surrounding petty corruption, organised crime and the continued use of corporate bribery to expand market share. Given these factors, Cockcroft explores the solutions and strategies that have been brought to bear on corruption and argues that unless some underlying issues are tackled at the global level, it will be difficult to make progress at the national and local level. These issues include the prevalence of shadow economies, the existence of secrecy jurisdictions and the ambiguity of western governments towards corruption in energy-rich (and strategically important) countries. He sees the current G8 and G20 agendas as hopeful in this context. This book argues that a strong integrity system and accountable government in a country is only possible if driven by internal pressures from civil society and other non-state organisations. The text draws on over 200 case studies to describe impressive initiatives undertaken over the past decade by 130 civil society organisations (a third of which are Transparency International chapters) in 53 countries. These initiatives engage directly with public agencies to stop bribery and extortion from obstructing social and economic progress. 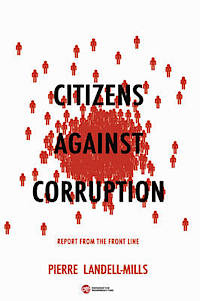 This book challenges the notion that, at best, civil society can only have a marginal impact on reducing corruption. Quite the opposite: the book shows that civil society organisations have demonstrated again and again that their impact can be game-changing. 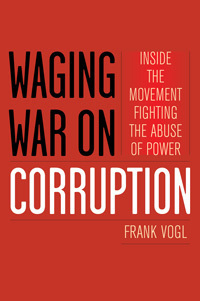 In this book another Transparency International co-founder, Frank Vogl, gives us an insider’s account of extraordinary battles against the abuse of public office by politicians and officials. This is a global journey from the birth of the anti-corruption organisation Transparency International in 1993, to the Arab Spring in 2011, as courageous people in scores of countries challenge authority and fight for justice. 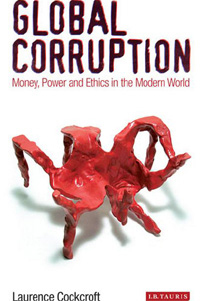 The book argues that most people in the world are victims of corruption, in one way or another, and depicts corruption as an economic crime, a crime against taxpayers and a threat to peace and security. Frank Vogl warns that while the anti-corruption movement has reached basecamp, there is still an Everest to climb. He suggests a focus on boosting integrity in development assistance, the arms trade and defence sector; fighting natural resources exploitation; bolstering anti-money laundering efforts; and taking actions to tackle foreign bribery.